against PMOI, with threats against their families in Iran. to influence even well educated MEP's. Is a good example of their efforts. Graduate in law (University of Lisbon, 1979); diploma in Community law (INA, 1981); diploma from the 'Institut International des Droits de l'Homme' (Strasbourg, 1989). Diplomatic adviser to the Portuguese President (1982-1986); posted to the Permanent Mission to the UN and International Organisations, Geneva (1986-1989) and to the Embassies in Tokyo (1989-1991) and London (1991-1994); member of the Portuguese delegation to the Middle East peace process during Portugal's EU presidency (1992); member of the Special Political Affairs Office (East Timor dossier Timor) of the Foreign Ministry (1994-1995); head of office of the Secretary for European Affairs (1995-1996); member of Portugal's Permanent Mission to the UN in New York - coordination of the Portuguese delegation to the Security Council (1997-1998); head of Section of Interests and, later, Ambassador of Portugal to Jakarta (1999-2003). Member of the National Executive and Political Executive of the PS (Socialist Party) (since 2002); member of the PS National Secretariat and Secretary for International Relations (2003-2004). Member of the Portuguese branch of Amnesty International. Euro-MP conspiring with Iranian intelligence? London, Apr. 30 – A member of the European Parliament from Portugal has been in direct contact with the Iranian regime’s officials and agents, Iran Focus has learnt. 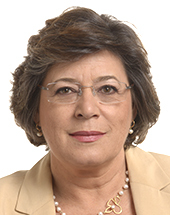 Ana Gomes MEP has had extensive contacts with the regime through various channels and she has been supported by supply of misinformation in her opposition to the People’s Mojahedin Organisation of Iran (PMOI), according to reliable information obtained from sources within several organs of the Tehran regime. Gomes’s main contact person with the regime is Rassoul Mohajer, the Iranian ambassador to Portugal. The Iranian embassy has been supplying documents against the PMOI for her activities against Paulo Casaca, another Euro MP from Portugal, who supports the Iranian Resistance. She has been encouraged by the regime for her activities against the PMOI and Casaca. Mohajer has maintained an active contact with Gomes and he has met with her on a number of occasions at the embassy. He is trying not to make his contacts with Gomes public and keeping it away from the media so that her contacts with the regime would not be branded as links with the regime. This is to facilitate their joint activities. In response to foreign ministry’s suggestion to Mohajer to invite Gomes to Iran, he said that it should be delayed until the end of upcoming elections in Portugal as it might undermine her election campaign. Mohajer is one of the senior members of the Iran’s foreign ministry and he had been Iran’s ambassador to Romania and Hungary and before being appointed as the ambassador to Portugal he was the director general of the consular affairs at the foreign ministry. She is also in active contact with Iran’s embassy in Brussels. She has met several times with Hossein Karimi, the Iranian Charge d’Affairs. The last arrangement for a meeting was scheduled for late April 2009, but it had to be postponed till July 2009, due to an urgent trip to Portugal. As she is also a Rapporteur on Iraq at the European Parliament, she also maintains an active contact with the Iraqi agents of the Iranian regime. Referring to Ms. Gomes, one of the clerical regime’s foreign ministry officials had noted that due to her responsibility as a Rapporteur on Iraq, the Iranian regime’s influence on Iraq has brought her closer to the regime. She has visited Iraq at least three times; in January 2008 (Baghdad, Nassiriya and Hur regions), February 2008 (Kurdish and northern areas) and in January 2009. Gomes, in her visits to Iraq, has established active contacts with Iraqi Members of Parliament and officials who are well-known for being veteran agents of the Tehran regime. One of the Iraqi agents of the regime who is in active contact with Gomes is Hadi Ameri (His real name is Hadi Farhan Abdullah Al-Ameri and his Iranian name is Hadi Ameri). He is the Chair of the Iraqi Parliament’s Committee on Security and Defense. For many years, he was one of the officials of the Supreme Council for Islamic Revolution in Iraq based in Tehran and he has been heading the Badr organization for years. His wife is Iranian and he had lived in Iran for more than 20 years. He is a Revolutionary Guard Brigadier General at the Quds Force and he has received training at Imam Hussein University in Tehran for command by the Revolutionary Guard. His superior in the Iranian regime is the Revolutionary Guard Brigadier General Qasem Soleimani, Commander of the Quds Force of the Iranian Revolutionary Guard Corps (Soleimani is included in the Security Council’s sanctions list number 1747). His account number in Tehran is 3014 and his code at the Revolutionary Guard is 3829597. During the past seven years he has been actively campaigning against Camp Ashraf and calling for expulsion of the PMOI from Iraq and pursuing the policies of the Iran’s Ministry of Intelligence and Security (MOIS) and the Quds Force, which is believed to be behind a spate of terrorist attacks outside of Iran. Ameri was a member of the Iraqi delegation who visited the European Parliament, Brussels, in late April 2009 where he also met with Gomes. Simultaneous with adoption of a resolution at the European Parliament in support of Ashraf residents on April 24, he was at the Parliament trying to prevent its adoption. Subcommittee on Security and Defence. We have tried to email her twice with no answer. She is up for election in Portugal. We would be glad to post her rebuttal.